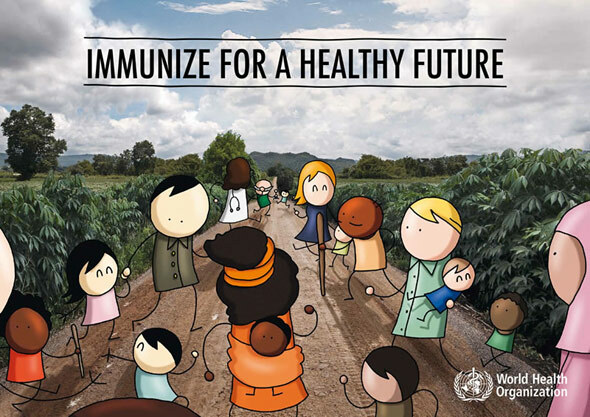 Vaccines save lives, millions of lives, each year. Yet despite this, anti-vaxxers insist that vaccines are dangerous, poisonous and will kill you. So here are some links for you to show you the real truth about vaccines. First up, the always excellent Phil Plait over at Slate took to Twitter and dropped ten truths about vaccines. These are truths that have been repeated over and over by people who understand vaccinations, and yet the anti-vaxxers refuse to accept the facts, so these truths need to be repeatedly repeated. A previous post by Phil Plait has a great infographic about why missing immunisation is deadly. Similarly, over at The Conversation, they have a list of six myths about vaccinations, and why they’re wrong. Several links are provided to get more information about each myth. One of the most common, if not the most common, myth about vaccines is that they cause autism. THEY DO NOT. Let me repeat that with other links. THEY DO NOT CAUSE AUTISM. There is NO association between vaccines (or their components) and autism. It’s ridiculous how often this needs spelling out to the anti-vaxxers. It’s ridiculous that anti-vaxxers even get media time to spout this nonsense. Scientists are continuously discovering new hidden benefits to vaccinations as well. If you don’t like to read about facts and the truth, maybe you want to hear about people who have suffered because they didn’t have access to vaccines? The Vaccination Chronicles (after the break) shows the stories of people who saw first-hand the effects of vaccine-preventable diseases. Be safe, get vaccinated. Onwards! This entry was posted in Science and tagged anti-vaxxer, autism, benefits, diseases, Forbes, infographic, media, nature, Phil Plait, Slate, The Conversation, The Guardian, The Vaccination Chronicles, Twitter, vaccination, vaccine, vaccine-preventable outbreaks, vaccines. Bookmark the permalink.